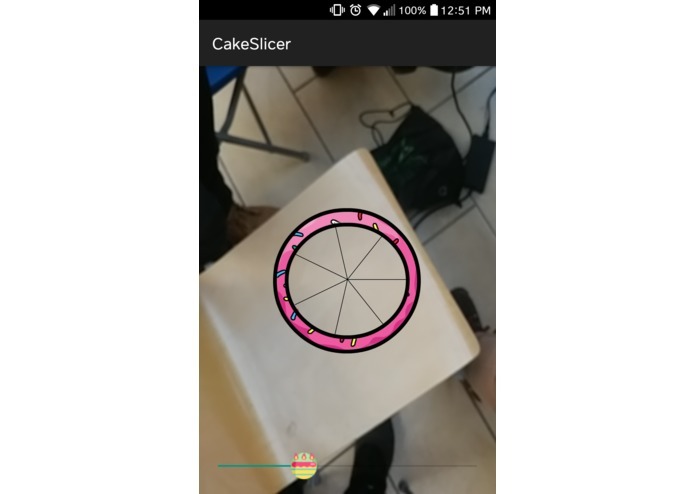 CakeSlicer solves the cake slice equality problem by helping you divide your cake! 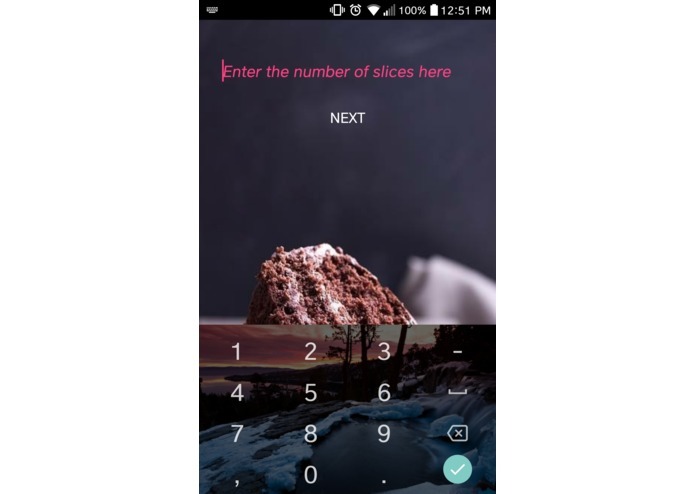 Solves a real-world need for cake slice equality! 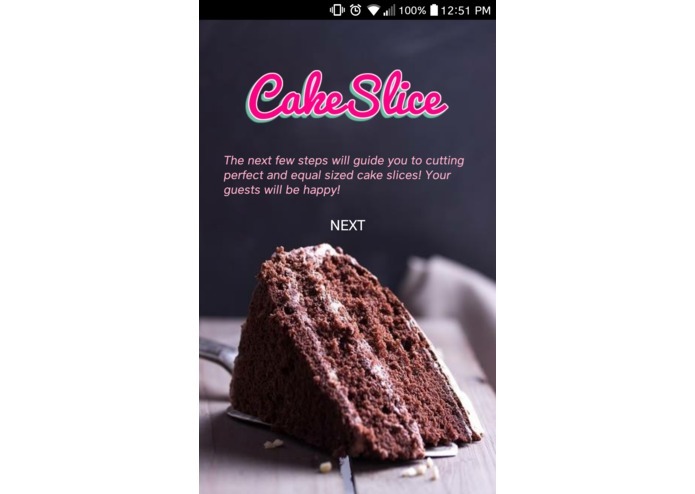 The app shows you how to cut your cake so that all your guests get the same sized piece! We built it in Android Studio using Java and XML. Getting the challenges to work! We learned how to use Android Studio, refreshed our Java skills and learned how to work around the challenges above! 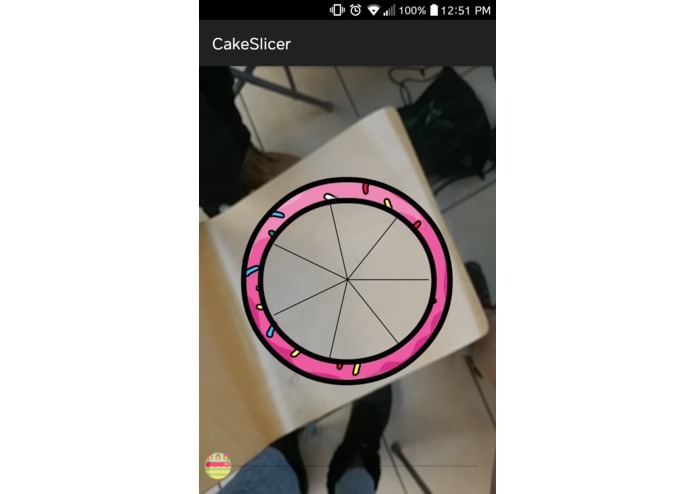 Adding options for dividing different shaped cakes with different shaped slices.